This 6 Piece Block Set from Henckels' Gourmet Line is a geat way to start your fine cutlery collection. 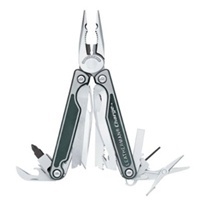 It includes the basic set of knives for everyday use. The Gourmet Line features a high carbon, stainless-steel blade that's created from laser-controlled technology for a long-lasting cutting edge. The handle is perfectly bonded to the tang to provide a hygienic and breakproof design that is both functional and comfortable. This Garnish Set makes a great gift for yourself or someone special! As functional as it is beautiful, this ALFI® ice hardened stainless steel 4 piece forged steak set cuts through meat with ease. This knife includes a three riveted handle to provide extra comfort and accuracy. The Parmoulin is an exquisite, unique and exotic piece of cutlery history to gift to a friend (or yourself) as a very useful cheese knife. Materials: Lightweight Titanium & Bronze Bushings. For that juicy London Broil or well-grilled Porterhouse, only the finest steak knives will do. The knives in this 4-Piece Wusthof Grand Prix II Steak Set will slice easily through the thickest cuts of meat so you're sure to enjoy every last bite. The Grand Prix II line has a slimmer handle for a more comfortable grip, a pebble-grained handle surface for a slip-free hold, and improved edge retention, keeping the sharpness longer. Crafted in Solingen, Germany. Lifetime warranty. A set every steak lover should have, this 4-Piece Classic Steak Set by Wusthof contains 4 of the sharpest knives you can own. They'll slice effortlessly through the thickest Prime Rib or Ribeye steak. The ALFI® Forged 10"Slicer. Excellent for cutting thin slices of meat and fish. 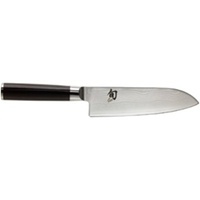 The ALFI® Forged 8" Chef's Knife. The wide blade allows for a rocking motion that is excellent for chopping onions and peppers, mincing herbs, and crushing garlic. Cubes raw meat with ease. No kitchen can be without this knife. The ALFI® Forged 6" Sandwich Knife. Cuts deli meats, muffins, mushrooms, and medium fruit and vegetables. The ALFI® Forged 3.5" Parer Knife. Cuts and peels any fruits and vegetables with ease. Also dices herbs and trims meats. One of the handiest and most versatile knives to own. The blade of the knife is made from the very finest German High-Carbon Molybdenum Stainless Steel. It has been hot drop forged by hand and ice tempered to a Rockwell hardness of 56 degrees before being polished and sharpened by hand. The bolster is forged to assure perfect balance and weight in the hand. The full tang is found in only the best knives. The tang offers strength and brings stability to the knife. The nickel silver rivets the POM handles to the full tang. They are fitted flush with the handle and buffed for both a smooth finish and a comfortable fit in the hand. Handles are dishwasher safe but we recommend you hand wash these knives. ALFI signifies quality and we gaurantee against any defects.